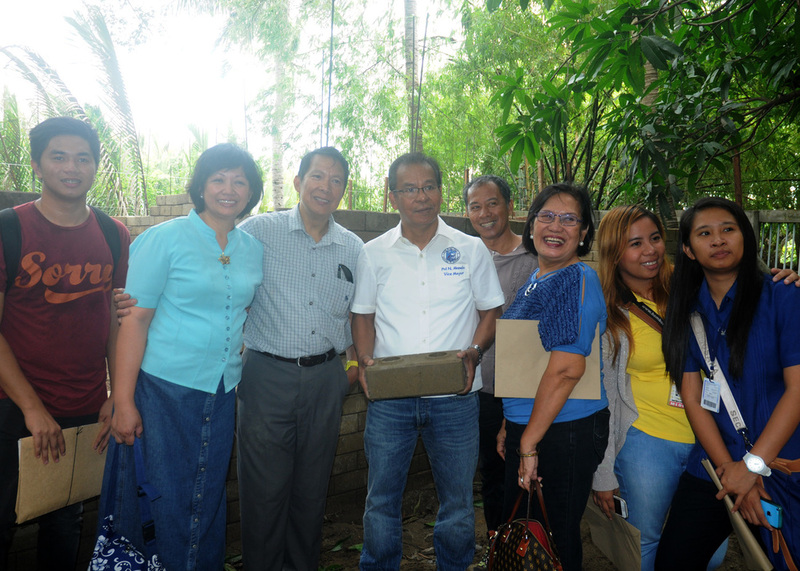 'Jaime Rafael Liwanag, Jean and Rene Doria, San Fabian, Pangasinan Vice Mayor Manalo, Apollo Tabelisma, and media crew in front of the disaster-resilient patient unit under construction. IHHELPP recently partnered with Mabuhay Desseret in building a 40 square meter disaster-resilient patient unit for Guilermo de Venecia Eye Clinic in San Fabian, Pangasinan, Philippines. The eye clinic will benefit the communities in San Fabian and nearby towns in Pangasinan. The clinic will offer assistance to patients with visual impairments unable to afford eye treatments usually available only to urban hospitals. 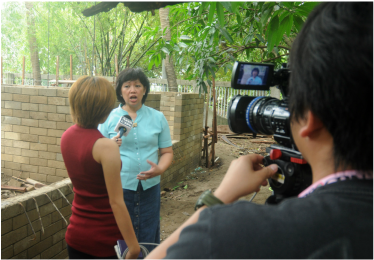 Jean Doria was interviewed by the local news station of San Fabian, Pangasinan. Disaster-resilient Compressed Earth Blocks (CEBs) were used in the construction of the clinic. CEBs are cheaper, sturdier and more visually appealing alternative to hollow blocks. Members of the Church of Jesus Christ Latter-day Saints trained for CEB production from Camiling, Tarlac assisted in building the clinic. The San Fabian project fulfills IHHELPP’s mission to improve health, support livelihood, educate communities, and build disaster resilient homes in the Philippines. Rene Doria, IHHELPP president and Jean Doria oversaw the project’s completion.